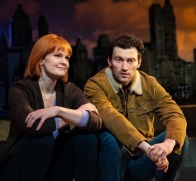 The first New York City revival of Dying City demonstrates why this piece was a 2008 finalist for Pulitzer Prize for Drama. Dying City consistently surprises the viewer and challenges expectations. The story set up is deceptively simple. Kelly is a young window who lost her husband Craig in the Iraq War. A therapist by trade, she appears not to have dealt with her grief. The unannounced appearance of her husband’s identical twin brother forces her to confront both her guilt in avoiding the family and the grief she hasn’t faced. The action shifts inside Kelly’s apartment between 2005 with Her husband’s twin and 2004 the night before he husband leaves. It is a simple setup, and it implies a story progression and climax by the numbers. Instead these story leads into unexpected directions, lead by fearless actors. Erin Cronican plays young widow Kelly and Brandon Walker plays twins Craig and Peter. I don’t want to give too much away, it would be a sin with a play this rich in emotion, but the actors are amazing. And amazing acting because it seems, at first, they are rather bad at portraying these characters. Erin Cronican’s Kelly is a Therapist who is passive and unable to face her own grief, which is a rather simplistic portrayal. Only as the play progresses does the audience realize, that the character of Kelly is projecting this false face. 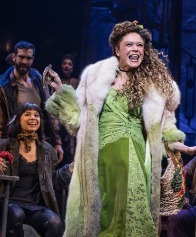 Kelly’s later emotional changes and revelations make the Ms. Cronican’s performance exceptional.Brandon Walker’s portrayal of gay brother Peter also seems oddly one-note early in the show. Peter’s nervous laughter serves as a lazy identifier between the roles, only later does this nervous tick make full sense with the character. Mr. Walker inhabits both roles believably with wonderful results.I mention this facet of the show, because the slow reveal of the depth of these characters mirrors the depth and slow reveal of the entire show. It is a pleasure to watch. 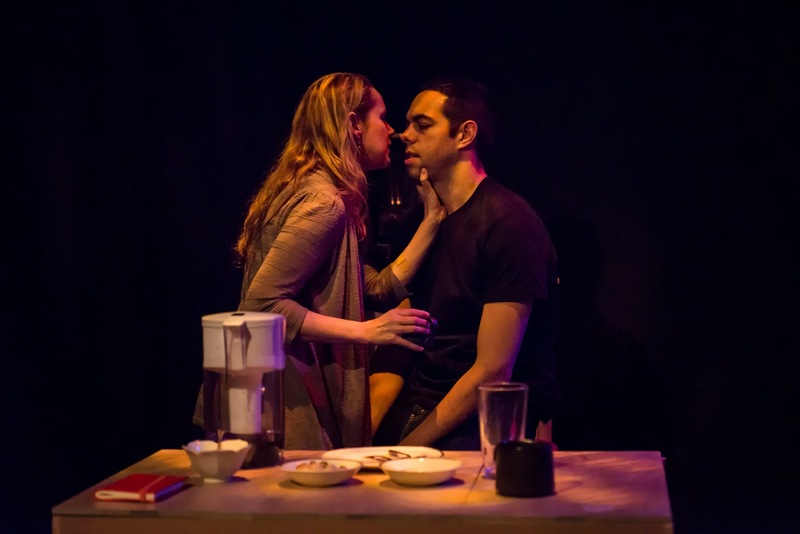 Dying City is produced by The Seeing Place, in repertory with Lee Blessing’s play Two Rooms. It is a fascinating combination, exploring the impact of war on those left behind on the home front. The women (at home front) in both shows have emotionally cauterized their wounds, but deal with the world very differently. Different directors, a great Adam Reich in this case, pull these two pieces into harmony. And a call out is needed for an outstanding effort done by Duane Pagano in lighting design.